After joining us for field day with her close friend Rich N4ESS, Peggy thought to herself, “this looks like fun. I’ll bet I can do this.” After studying for the test, and getting a good deal of help from friend and Elmer Rich, she proved she could. In fact, she did very well on the test. I wouldn’t be surprised to see Peggy and Rich in the near future when she takes her General. 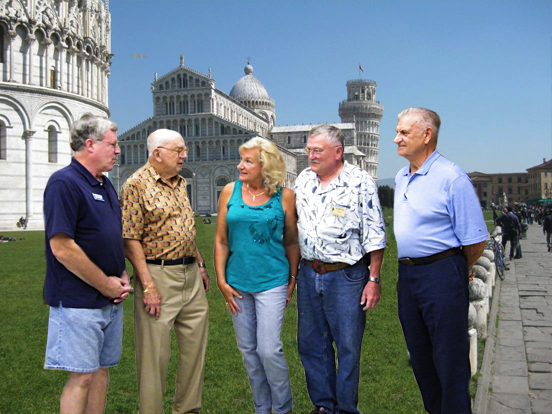 Left to right Club President Patrick KI4CDY, Al W4ZSC, Peggy Lang, Rich N4ESS, and Bert KG2G. Also present for the testing but not shown were VEs Bill KI4ZMV, Mike KT2T, and George KI4NBE.